This kid-centric tour of San Diego is brought to you by Colleen Lanin, who blogs about traveling with her two children at Travel Mamas. 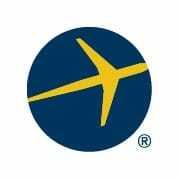 The helpful tips were first published on Expedia in 2012 as part of the Kids in the City summer travel campaign highlighting family-friendly urban destinations throughout the United States. San Diego is one of the most popular family destinations in America—and for good reason. Kid-friendly attractions galore, year-round mild weather, and long stretches of sandy beaches make my hometown a spectacular spot for children and parents alike. Here are the absolute must-sees in San Diego County, as well as my picks for where to stay and where to eat when you have children in tow. The Beach: San Diego boasts more than 70 miles of beaches. Take a surfing lesson on Ocean Beach, go sea-kayaking in La Jolla, or rent beach cruisers to pedal along the boardwalk in Pacific Beach. Hot summer beaches are jam-packed with picnicking families and horseshoe-playing college kids. Spring and fall offer cooler temperatures and more space to spread out your beach blanket. Those visiting in winter are sometimes surprised to find the beaches too chilly for swimming, but wetsuits are available from surf shops for die-hard ocean lovers. San Diego Zoo: No trip to America’s Finest City is complete without a visit to the San Diego Zoo, widely regarded as one of the best zoos in the world. Four thousand animals representing 800 species make their homes here. On the list: lions, tigers, bears (oh my! ), koalas, Komodo dragons, and giant pandas, to name a few. Kids will enjoy visiting the Children’s Zoo to climb on the Fisher-Price Discovery Playground, watching playful otters swim and dive through a bi-level exhibit, and interacting with goats and sheep in the petting zoo. Take the SkyFari Aerial Tram for an uplifting ride over the zoo’s canopy of leafy trees to get a bird’s-eye view of the animals below. Viewfinder Tip: The whole family can stay overnight at the San Diego Zoo Safari Park through its Roar & Snore sleepover program. San Diego Zoo Safari Park: The San Diego Zoo Safari Park is just as impressive as its more well-known sister property. It encompasses a whopping 1,800 acres, compared to the zoo’s 100. The African Tram Safari is the park’s king attraction; it transports visitors through a wide-open landscape similar to that of the African Savannah to spy on such creatures as rhinos, giraffes, and Cape buffaloes. Purchase a cup of nectar at Lorikeet Landing to come nose to beak with brightly plumed lorikeet parrots. On hot days, bring swim gear so children can cool off in the animal-shaped fountains at the Savannah Cool Zone. Adventurous families can embark on an overnight safari in the park through the Roar & Snore sleepover program. Balboa Park: The location of the first-ever World’s Fair, Balboa Park offers 17 museums, 19 gardens, five playgrounds, a carousel, a child-sized ride-on train, the famous Old Globe Theatre, and more. The San Diego Model Railroad Museum, which houses one of the largest indoor model train displays in the world, is a hit with the preschooler set enthralled with all things choo-choo. Bigger kids will be too busy turning knobs and pressing buttons to realize they are learning about science at the Reuben H. Fleet Science Center. All ages will enjoy wandering through the park’s plentiful trails and gardens, including the Balboa Park Rose Garden, with its rainbow of sweet-smelling blooms. Legoland California: While many amusement parks offer primarily passive entertainment, Legoland California’s attractions are decidedly interactive. Kids drive mini cars around two-lane streets dotted with stop signs and working stoplights at the Volvo Driving School. They build and race Lego vehicles and can even program computerized Lego Mindstorms robots. The Police and Fire Academy ride gets Mom and Dad involved too: Families pile into a fire truck or police car, and power it by pumping levers up and down as they race other teams to put out a “fire” and stop robbers. Purchase a park hopper to explore the onsite Sea Life Carlsbad Aquarium and Legoland Water Park. The aquarium boasts underwater pop-up bubbles from which kids can get a glimpse of what it is like to live under the sea. The water park has fountains and mini waterslides for young splashers, plus more-thrilling slides for bigger visitors, too. Hotel del Coronado: Many people stop by “The Del” (as it is known to locals), a tourist attraction in its own right, to eat the famed brunch, enjoy an immaculate stretch of beach, and peruse some swanky shops. Drive across the 2.1-mile-long Coronado Bay Bridge from downtown San Diego to reach this hotel on Coronado Island. Disney’s Grand Floridian was modeled after this fairy tale-like hotel with its signature red-tiled turrets. Kidtopia Camp & Crafts (for children 4 to 12) and Vibz Teen Lounge (for teens 13 to 17) keep kids entertained while Mom and Dad relax poolside. Residence Inn San Diego Gaslamp: Situated just a couple of blocks from San Diego’s Petco Park, this Residence Inn is a prime spot for vacationers seeking an urban retreat. Its lovely rooftop pool provides a view of the San Diego skyline. The hotel has a modern boutique feel with convenient touches such as suites with full kitchens, outdoor grills for barbecues, a 24-hour in-lobby market, complimentary evening socials, free hot breakfasts, and included Internet access. They’ll even go grocery shopping for you at no additional charge! West Inn & Suites: Located in San Diego’s North County, West Inn & Suites is popular with vacationing families who enjoy the hotel’s proximity and free shuttle to Legoland California (and anywhere else within five miles). West’s lobby blends the feel of a small inn or bed and breakfast with the amenities of an upscale hotel, all with an affordable price tag. Other kid-friendly touches? There’s a complimentary full breakfast every morning, a selection of board games to borrow, a microwave and refrigerator in every room, and complimentary WiFi. Corvette Diner: Kids love this throwback diner that offers milkshakes galore, jukebox tunes from the 50s through the 70s, singing and dancing servers, and tasty burgers and fries. There’s also a game room; after your meal, earn points to spend on toys and other trinkets for scoring big at air hockey, Skee-Ball and video games. Café Coyote: San Diego’s Old Town is flush with Mexican restaurants, but, as a local, my favorite is Café Coyote. Other eateries are more popular with tourists and can have notoriously long lines, but here, the typical wait is short and the food is delicious. Watch women wearing traditional Puebla dresses handcraft some of the best-tasting flour tortillas you will ever eat. As an added bonus, the restaurant offers its own underground garage in an area of town where parking spots are hard to find. The Fish Market: This place strikes a nice balance between what parents want (a delicious, fresh seafood dinner with maybe a cocktail or two) and what kids need (a stimulating environment where children are welcomed). Kids will like watching the chefs cook fish on a huge spinning grill over a blazing fire (from behind glass). 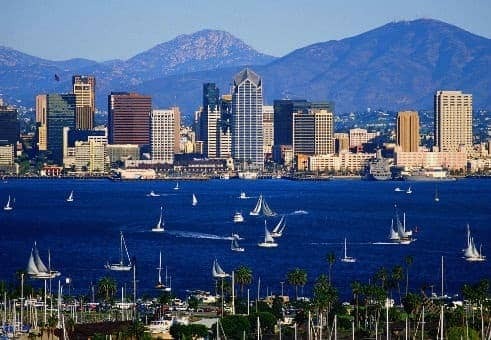 What do you like to do with kids in San Diego?